Is your fixed interest rate about to end? Remortgaging can be a good option. Your mortgage is most likely your largest financial commitment. It’s the method two out of five UK households use to secure a home, according to a 2013 report by The Guardian. As the age-old saying goes, though, nothing is permanent. Fixed terms come to a close, interest rates change, partnerships end and financial circumstances are fluid. This is why many people choose to remortgage. If you’re new to remortgaging, you may feel bogged down with questions. Here, Beaumont Legal remortgaging expert Charlotte Nowak shares her knowledge. Reduce Interest. The majority of remortgages come about because people have come to the end of a fixed rate. For example, if you’re with a lender for two years and they’re charging you 1.99% interest, that fixed rate might only be available for that set amount of time. At the end of the two years, people move on to what’s called a standard variable rate and that could mean your interest shoots up from 1.9% to 7%. As a result, people can go from paying £400 a month to paying £650 a month, for example. A lot of people are quite savvy when it comes to this, so they’re constantly swapping and changing their mortgage deals and in doing so, paying the smallest amount that they can. Release Equity. A second reason is to release equity out of a property. It might be, for example, somebody’s got a £200,000 house and they’ve only got a mortgage on there for £100,000. So, they approach either their lender or another one and say “we want to borrow another £50,000 to buy a new car”. Transfer Equity. A third scenario is after a divorce, you get what’s called a “transfer of equity”. You might own a house jointly with your partner, but then split up and one person has to buy the other out, so they remortgage with a new company. So, there might be £50,000 equity in the house and the partner is entitled to half of it, so the partner keeping the house will remortgage and out of the equity they receive, they pay the other out. Do I have to use a solicitor for remortgaging? CN: Yes, you do. At Beaumont Legal, we work on behalf of both the borrower and the bank (or lender). For example, a bank will send us various lender conditions. They might say: “We can see that since this client’s bought their house in 2010, they’ve had a two storey extension on the back and they’ve built a garage. Can you double check that all the building regulations were in place and you have the completion certificates and everything?” What we do is ensure the property is a good, mortgageable property. Another reason is that because there’s a lot of money changing hands, a solicitor has to be involved. Do I have to be certain of what repayments I can afford to make before I remortgage? CN: Yes, it all depends on your personal circumstances. For example, with my mortgage, I fixed mine for five years. When I come to remortgage in a couple of years, it might be that I’m not bothered about keeping the interest rate low but instead, I’ll reduce the 25-year term. So, when I come to remortgage, I could keep up the payments a bit and reduce the term. So I’m looking for a lender that can give me a reduced term, to be mortgage-free more quickly. 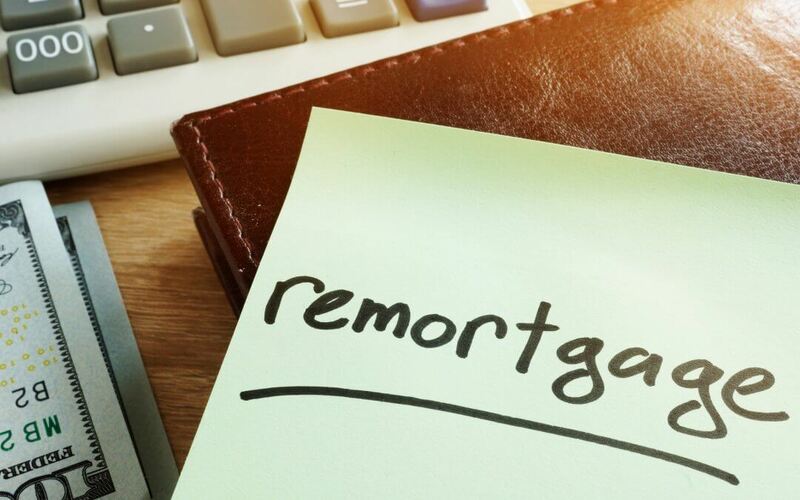 What is the process of remortgaging? CN: With remortgages, we have what’s called a no-search insurance, and that’s just a policy document that protects the lender. Rather than doing all the searches again, we take the no-search insurance out on their behalf and then if it does transpire that there was something that we’d missed that a search would have revealed, they’re covered by that particular insurance policy. How does this process of remortgaging differ to when you’re buying or selling a place? CN: It’s much simpler. For a remortgage transaction, the whole process itself takes about a third of the time that a purchase would do. There’s also less risk involved from a lender’s point of view, because obviously when the person’s bought the house for the first time, all the searches and checks have been done. They’ll then presume the house has good security because it’s had a mortgage on it already. If a house wasn’t at risk of flooding five years ago, the chances are that it’s still not at risk of flooding. If a coal mine hadn’t been active for 25 years five years ago, the chances are it’s not suddenly going to become active again. So, with less risks involved, checks aren’t as in-depth. Ready to remortgage? Get a quote now or speak to Beaumont Legal’s conveyancing experts, and we can talk you through the process.